We Need Your Help! 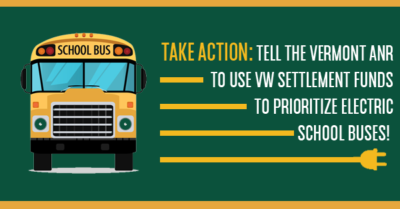 Please support the Youth Lobby’s campaign for electric school buses! After Volkswagen deceived the American people over their fraudulent “clean diesel” claims, they’ve been held accountable in a big way. As part of the settlement over their fraud, Vermont is eligible for nearly $19 million to go towards clean transportation projects. This is an incredible opportunity to kickstart our transportation transformation, and clean up the air for our children by investing in electric school buses. Last week, the Scott Administration released their draft plan for how they think the funds should be used. Instead of prioritizing electrification, the Administration’s plan leaves the door open to buying a whole lot of new diesel. We believe this is a mistake. We believe we should be investing in vehicles that will help get us off fossil fuels as fast as we can. In the Administration’s plan, just 43% is dedicated to replacing or repowering heavy duty vehicles (which would include school and transit buses). The plan is entirely unclear about how ANR would prioritize electric buses or other heavy duty vehicle proposals within this category. The remaining 42% is allocated to non-road equipment, locomotives, and marine vessels. This means 85% of the settlement funds could feasibly be used for new diesel vehicles. The lack of clarity also makes it really hard for anyone who might want to propose an electric bus project to put the necessary time and resources into that proposal, since they have no assurance that project will be accepted. We ask the Administration to dedicate the remaining 85% of the funds to electrification projects, particularly school buses. Electric school buses make a difference where it matters most: cleaning the air for our children and helping them see that a clean transportation future is possible. Children are among the most vulnerable to health impacts from air pollution caused by diesel emissions. School bus emissions are linked to asthma and other health risks. Studies have shown that diesel pollutants concentrate inside a bus cabin, increasing children’s exposure. Every day, an estimated 27 million children in the United States board yellow school buses to access their education. Ninety to 95% of these vehicles are powered by diesel fuel. It has been well documented that diesel vehicles emit greenhouse gases, carcinogens, and particulates, all of which negatively affect our health and environment. Electric school & transit buses save money on maintenance and fuel every year. Those savings would translate into direct benefits for Vermonters. The upfront cost of electric school buses is still out of reach for school districts without these funds. New diesel buses, on the other hand, are rapidly becoming more mainstream. We agree with the Administration’s proposal to maximize the portion of the funds (15%) that can be used for charging stations for passenger vehicles. This will help speed the transition for individual Vermonters to make the choice to go electric. But the entire settlement should be dedicated to electrification for this money to make a real impact. 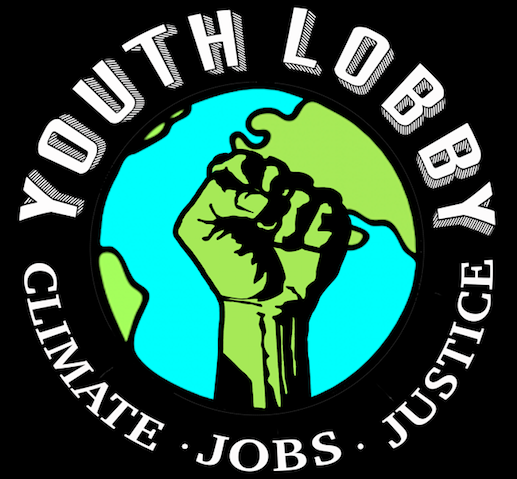 ← Last Week to Register for the VT Youth Climate Leaders Academy! !